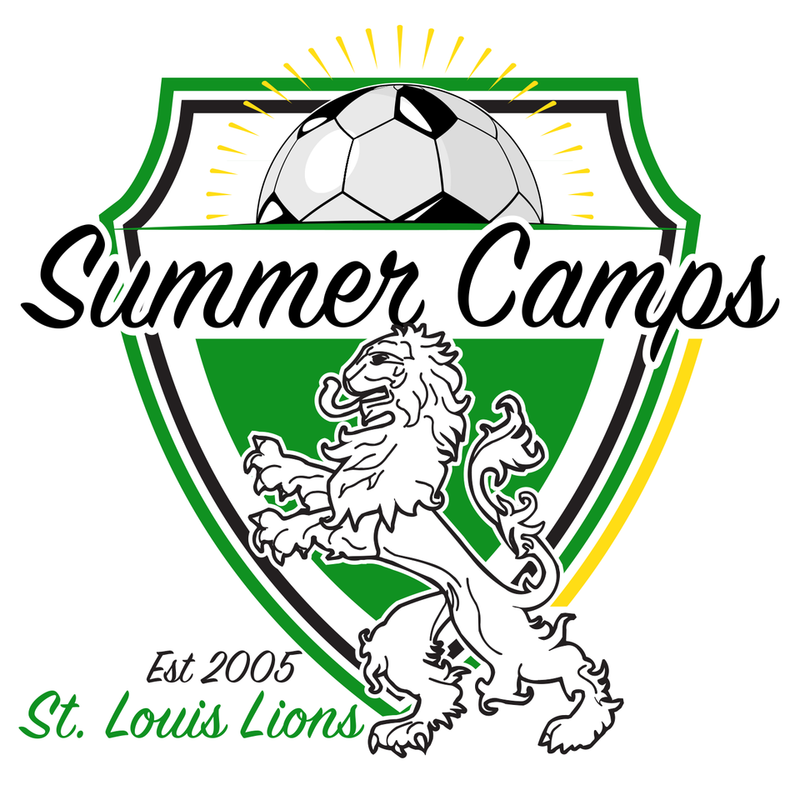 JOIN US SUMMER OF 2019, FOR OUR POPULAR ST. LOUIS LIONS CAMP! The St. Louis Lion’s Camp Staff, will be made up of Top Level Players from the St. Louis Lions. These current USL PDL and future professionals, enthusiastically implement a program designed from a background of great experience and knowledge of the game. Campers will have a unique opportunity to learn from top level, future pros! The St. Louis Lions have been key to placing over 30 players into Pro positions both domestic and internationally, including Lawrence Olum of Portland Timbers, Tommy Heinemann of Tampa Bay Rowdies (& formerly of Columbus Crew), and Greg Kranz, Dylan Hundelt, Vadim Cojocov and Kory Dowell of the St. Louis Ambush to name a few! FUNdamentals are the main focus. Our goal is for all campers to enjoy their time at Camp while advancing their skills. We aim for each player to touch the ball thousands of times to improve their touch. This will be set in a fun environment created by the staff. Half Day 9am-12pm / $165 / Includes camp photo, shirt and ball. Full Day 9am-3pm / $285 / Includes camp photo, shirt, ball and lunch! Full Day 9am-3pm / $285 / Includes camp photo, ball, shirt, and lunch!